With a focus on ending voter disenfranchisement and supporting inclusive policies, they plan to champion for the rights of women — a task made all the more challenging by the current administration’s approach to women’s issues. Their objectives are all culminating at their first big event: The Win With Women Conference on May 14-16 in DC. Why did you start the American Women’s Party? What are AWP’s main objectives? There was a lot of frustration and despair after the 2016 election which was steeped in misogyny. The attempt to silence a strong qualified female candidate and her supporters reverberated across the Internet. The backlash against women was undeniable; it was a cresting wave intent on drowning us. Hillary was the Cassandra and her supporters were the witches thrown into the water to see if we would float. AWP came out of that frustration with a desire to address those concerns and make sure we were prepared against those attacks in 2018 and 2020. The AWP wants to make sure women’s voices are empowered to participate in the political process. The American Women’s Party is an advocacy group fighting for equal representation, participation, and policy development for women in the Democratic Party. Listening, Education, Empowerment, and Direct Action are how we will achieve our goals. Listening to what women want from the Democratic Party helps us learn what their background, experiences, and goals are. We want to educate our followers on what bills and policies their reps are proposing that will directly affect them and their lives. Through education, we want to show our members that they are empowered to make a difference in their political system and hold their reps accountable. Direct Action is where our member’s accountability takes place, nothing will change if they don’t show up to polls and vote, help register others, hold their reps accountable. Can you tell me a little bit about the people behind this group? Bettina (Founder) her role — aside from getting us funded through November 2018 — is to assist in any way she can to get the vote out. Her perspective is international, long-term, and influenced by the German experience of the 20th century and her 30 years of studying the social dynamics, group psychology and the mechanics of tyranny and war. She graduated with a BA from Wellesley College in American Studies/American History. Maya (Co-founder, spokesperson for AWP) is the storyteller. She’s always written about people on the margins because she was a person on the margin; not just as a Black and Latina Woman, but because she grew up poor to a single well-educated mother. Maya understands how government can help and be harmful, especially when it’s not being held accountable or listening to its constituents. Maya understands that people can fall through the cracks, with or without an education, or even with a full-time job. She understands that what the majority of people are looking for on the margins isn’t a hand-out, but a hand up. 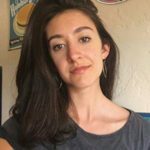 Maya is passionate about helping people acquire the tools to better their situation through education, training, and goal oriented direct action. She graduated with a BA in Religion, minor in theatre at FSU. Mia (Co-founder, spokesperson for AWP) was planning to be a college professor before signing onto AWP. She is an educator first and foremost and wants to empower women and marginalized groups to use their voices. Mia is the daughter of Jewish 60s leftist and was raised to be an active part of the political process. Along with Maya, Mia will be an educator and a resource to educate and empower women. “[My] Grandmother (a single mother of 3 boys) immigrated to the United States and was responsible for bringing over her 3 sons, my mother (who would eventually marry my father), and lots of Aunts & Uncles to the United States for a better life. Will AWP endorse candidates? If so, how will they make that decision and what will that support look like? AWP will begin endorsing candidates in 2018. We will decide on candidates to endorse based on their platform and how it corresponds to ours. We will endorse candidates who support intersectional women’s issues such as reproductive rights, environmental justice, criminal justice reform, and more with practical plans to accomplish real goals. Equality, Reproductive rights, LBGT rights, disability rights, a platform of economic empowerment, non-violence, commitment to environmental sustainability and upholding the US Constitution are a must. How will you approach the issues of intersectionality when discussing women’s issues? Intersectionality is very important to AWP. For example, when discussing environmental issues it’s important to keep in mind how poverty and racial injustice would be impacted by a solution or how women and POC are more affected by an issue. We can’t discuss healthcare without considerations of reproductive rights and distrust of women’s pain. We can’t discuss criminal justice reform without examining how mothers are directly impacted. It’s important to consider how voter suppression targets marginalized communities such as women, POC, trans people, and those with disabilities. Intersectionality helps us look at issues in a more inclusive way and come up with solutions that don’t ignore the needs of marginalized communities. What do you say to people who suggest that having a “women’s party” is by definition non-inclusive? We already have an entire government that treats men’s issues as default. We would love for a women’s party not to be necessary but unfortunately, we’re not there yet. AWP welcomes men to our organization and will push policy that helps men as well. It’s important to emphasize women’s issues to ensure they’re considered along with men. Are conservative voices welcome in AWP? All people are welcome in AWP but our platform will not include conservative policy. I see that AWP is about to host a Voter Empowerment Day. Why is combatting voter suppression such an important goal for AWP? How do you plan to target this issue? We can talk about all the wonderful policies we want established to make people’s lives better and safer but NONE of that is going to happen unless the Democrats take back the House in 2018. Let’s face it, Democrats are the only ones (besides 3 GOP senators) that actively tried to save health care, who protect reproductive rights, who advocate for gun sense laws, who pass EPA regulations and environmental protections, and who worked to end mandatory minimums and reform the criminal justice system. Obama signed the Lilly Ledbetter Fair Pay Act as his first order of business in office! He later created the National Equal Pay Enforcement Task Force to fight wage discrimination. We need people to understand what obstacles are in their way for voting in those states, help them hurdle them, and get them registered, or get their ID if needed. Most importantly, get them to the polls to vote! If we can take back the House, we’ll enjoy a nice glass of wine, breathe in and out and then we’ll get back to work on our next initiatives. In your opinion, what is the greatest threat women are facing in this political climate? As long as the political climate denies the role sexism and misogyny plays in culture (and in the last election) it will be difficult to combat. We must empower women’s voices to participate in the political climate so we are not silenced. Your website says that AWP is fighting for “inclusive policies.” How do you define inclusive policies? Inclusive policies are policies that consider the needs of women and marginalized people. Fighting for single payer isn’t enough if we don’t ensure single payer guarantees reproductive rights. Fighting voter suppression isn’t enough if we don’t consider how voting is made difficult for people with disabilities. Fighting climate change isn’t enough if we don’t consider how solutions will impact people in poverty. What should the Democratic Party be focused on as they head towards the 2018 elections? We obviously think fighting voter suppression is the most important issue because without voter enfranchisement we can’t vote and win elections! They say the future is female — do you think this extends to the future of politics? The future is now. We are here, we are the majority, and you’re going to see that the wave that tried to drown us, crest us into office. Welcome to the future, it is now.